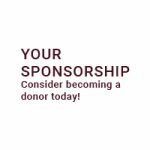 Be a tournament sponsor and help more students in 2019. Sponsors will be recognized at the tournament, on our website, dinner, promotional materials and our quarterly newsletter which is distributed throughout British Columbia. *The NRT Foundation will coordinate with Premier and Banquet level sponsors to co-select a scholarship and bursary recipient.